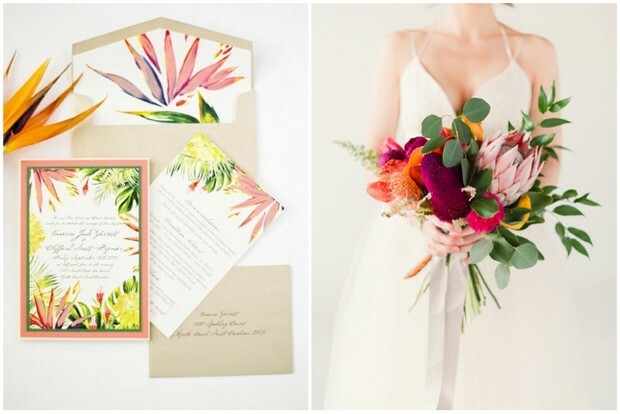 The Most Fun Tropical Wedding Theme You’ve Ever Seen! 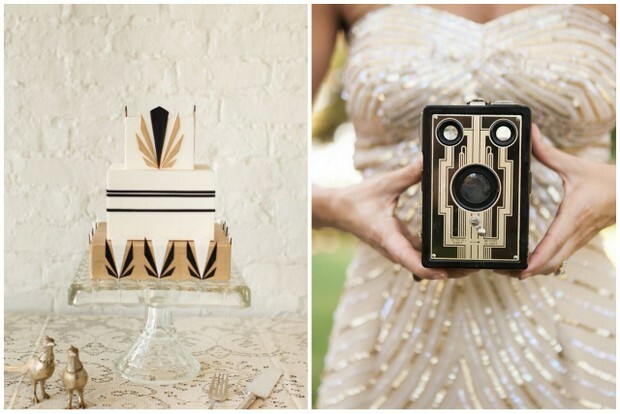 If you’re looking for something really different for your wedding theme, you may just have found it! 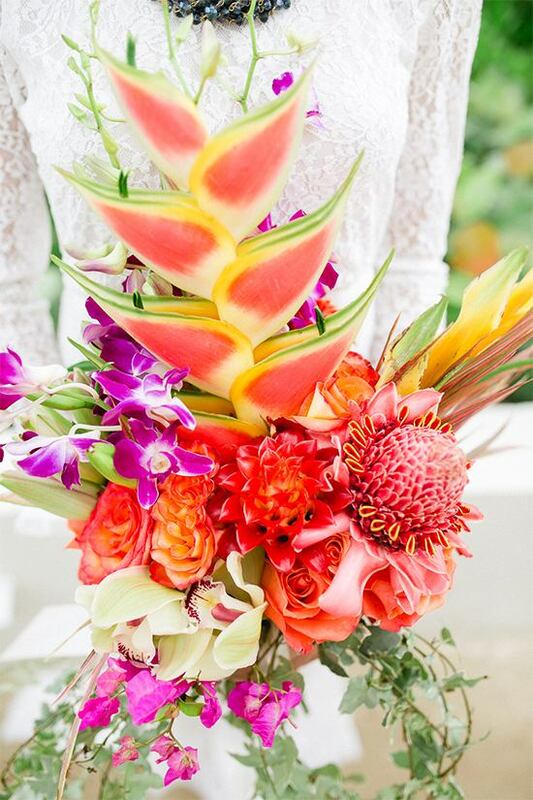 The tropical theme is massive for weddings this year and we can definitely see some 2017 Irish brides getting in on the action next summer! 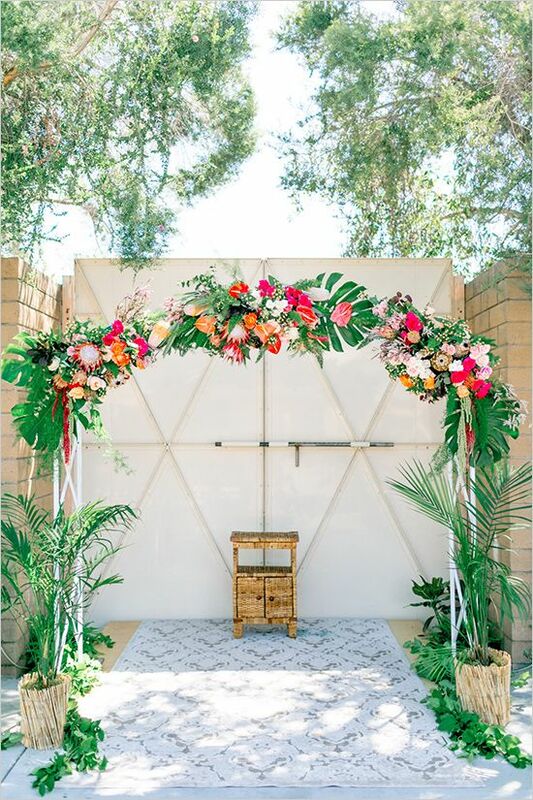 Pulling off an amazing tropical theme can be hard work, but you can also have great fun doing it. 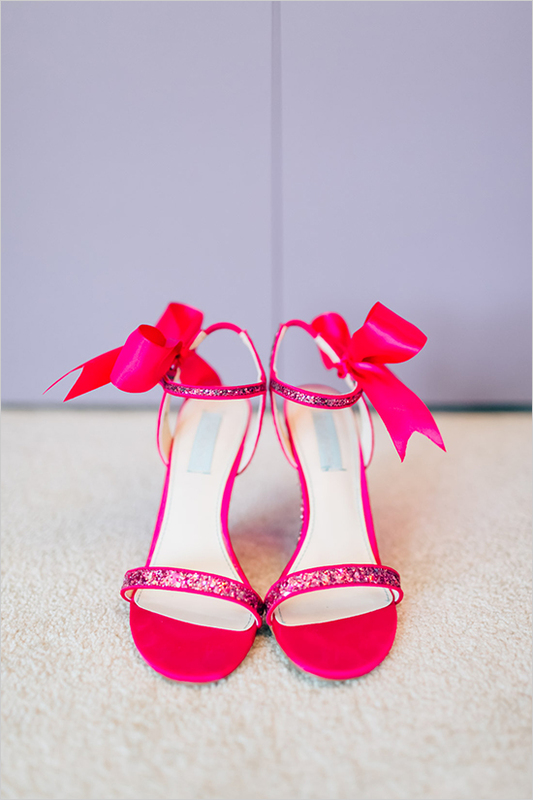 Getting things such as colourful wedding stationery sorted early will help you get focused on how you want the overall day to look and feel. 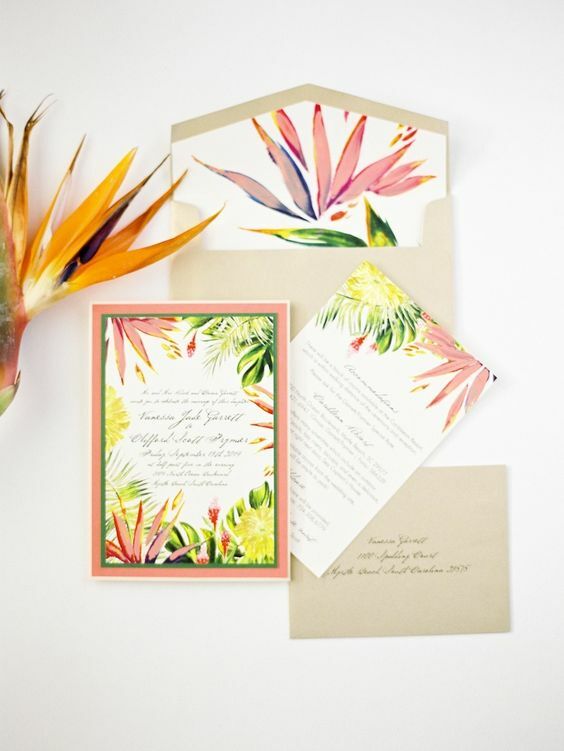 We suggest checking out Appleberry Press and The Parlour Press for some amazing tropical themed wedding invitations. 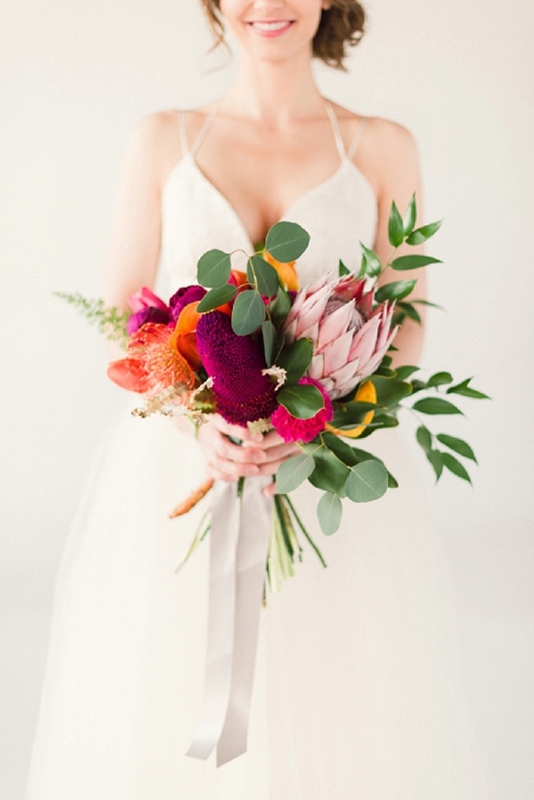 On the day itself, establishing a fun tropical feel is easily done with bright, eye-catching bouquets, colourful bridesmaids’ dresses and maybe even a pair of hot pink heels if one was so inclined! 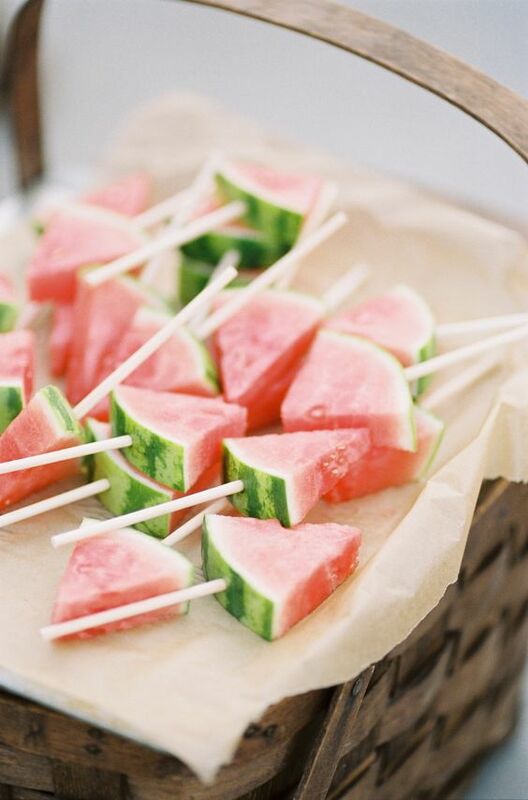 Serve canapés of fresh watermelon lollipops, Mojito cocktails and fresh coconut juice (which of course you’ll have to serve with flamingo party straws, obvs). 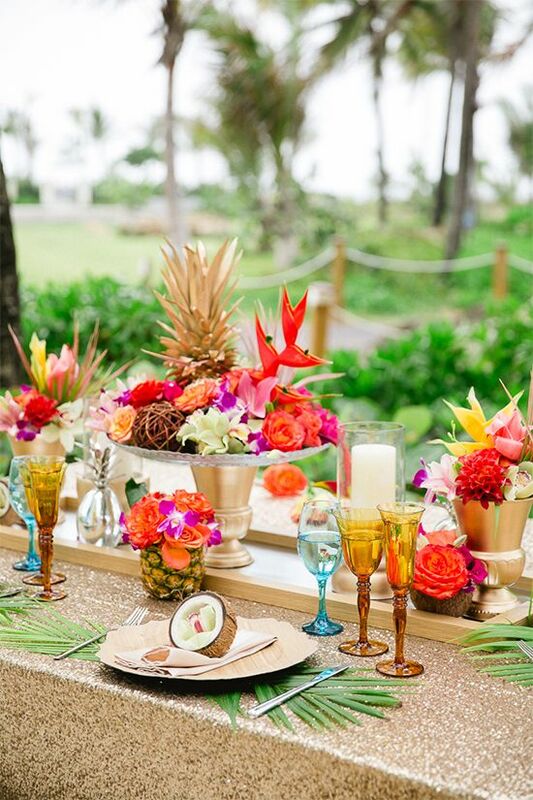 Decorate as colourfully as possible, popping tropical flowers, confetti and pineapple props around the table. 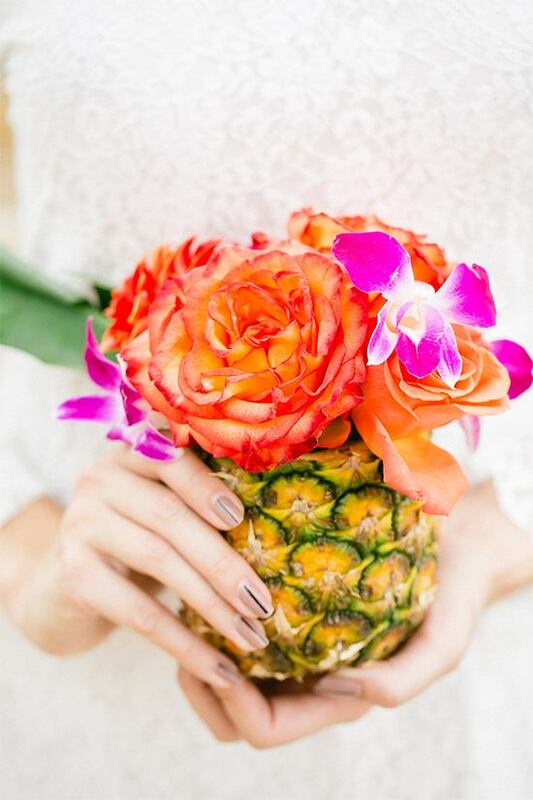 You can get your hands on loads of super fun pineapple themed bits and bobs on Etsy. The only trouble will be not blowing the budget before you’ve even started! 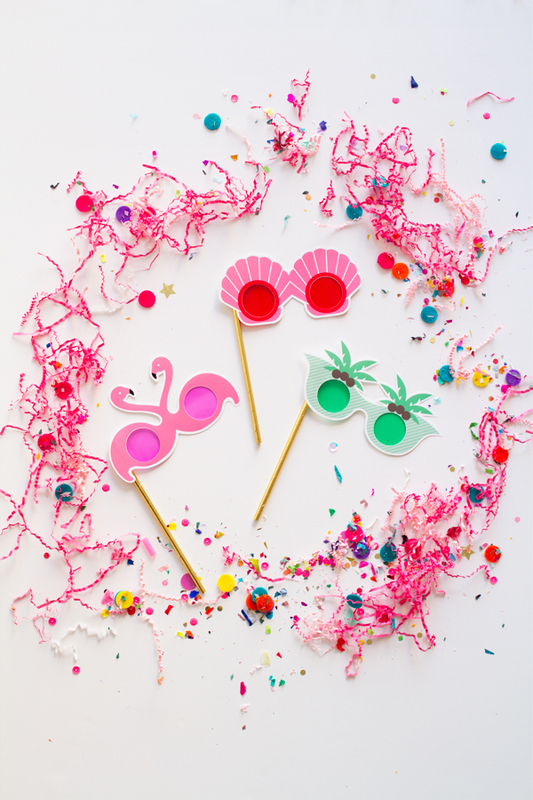 Plenty of colourful tassels and bunting is a must of course, as is giant colourful balloons and brilliant bright photo booth props for guests. 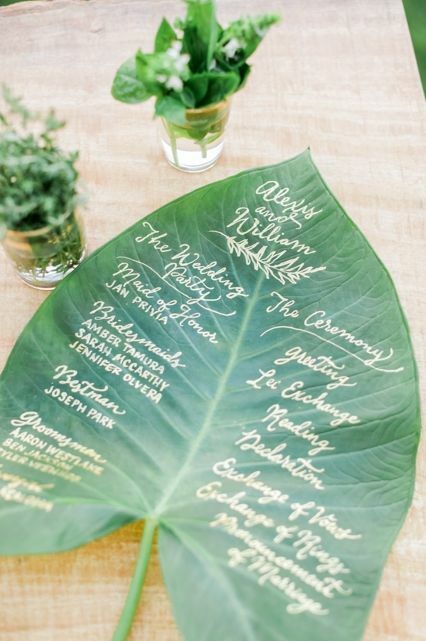 And if you’re really up for a bit of fun, conga your way out of the ceremony venue after you’ve tied the knot – we’re nearly certain that’s something your guests will never forget!